Today I would like to describe you an incredible spice. It is an ingredient of curry and, as for the shape, it is like ginger: I am speaking about turmeric also known as Indian saffron. The color of turmeric is yellow and thanks to this property it is widely used to colour clothes. 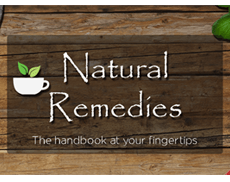 Turmeric can be used as root or as powder. In both cases be careful because it can colour your hands! You can add turmeric to soups, sauces but if you want a piece of advice I personally prefer to use turmeric as a dressing in salads. In fact, the problem is that it is very difficult for this spice to overcome the barrier of the stomach but this can be solved by mixing a teaspoon of turmeric powder with a teaspoon of olive oil and some ground black pepper. 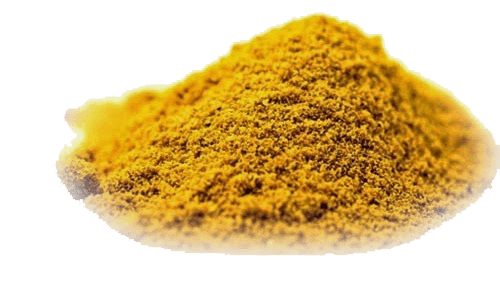 In this way the absorption is enhanced and we are able to enjoy all the benefits of turmeric. For this reason a salad is, in my opinion, the best way to eat turmeric. Moreover, this precious spice is not subjected to heat and it can preserve all the nutrients and becomes a real elixir for a long and healthy life. There is also another way to eat turmeric, very helpful in case of joint pain or to fortify the immune system. I'm speaking about Golden Milk. How can you prepare golden milk? First, you should obtain the turmeric paste, by taking 50 gr of turmeric powder and 120 ml of water, put them in a pot and heat on a low setting util you've obtained a paste that looks like toothpaste. Remove from heat and let cool down. The turmeric paste can be kept in the fridge for about a month. To prepare golden milk take a cup of soy or rice or oat milk, put in a pot with 1/2 teaspoon of turmeric paste and heat on a low setting. Then add a teaspoon of honey, a pinch of cinnamon and your golden milk is ready. I heard for the first time about the power of turmeric by reading the book “Anticancer” written by David Servan-Schreiber and since that day turmeric has been an essential ingredient for my dishes. As reported in the cited book, turmeric is indeed one of the most powerful natural anti-inflammatory substances all over the world, then it is able to inhibit the growth of cancer cells by making easy their apoptosis. Turmeric is useful in order to prevent solar skin damages but it seems also to play an important role against neurodegenerative diseases: among people who are used to eat turmeric the number of persons affected by Alzheimer illness is smaller than people who don’t eat this root. This property has been demonstrated by studies performed by the Institute of Neuroscience and Medicine in Jülich, Germany, and published on the scientific journal “Stem Cell research & Therapy”. In addition to this, we can also say that turmeric aids digestion because it stimulates the production of gastric juices. Turmeric is a really useful and powerful method to prevent illnesses and to preserve out health.